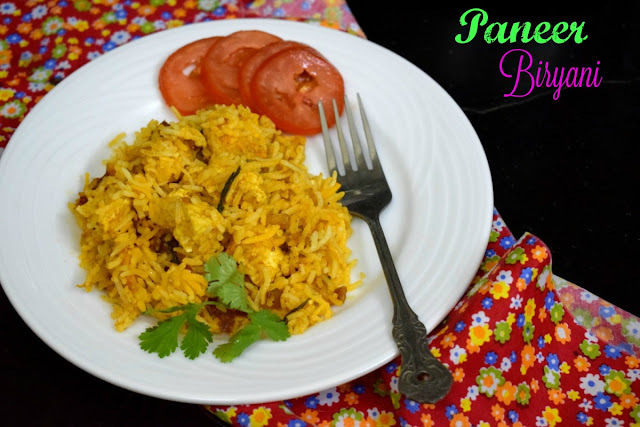 For the second day of BM#66, I had this yet another Paneer Biryani noted down that I wanted to make for my kids. 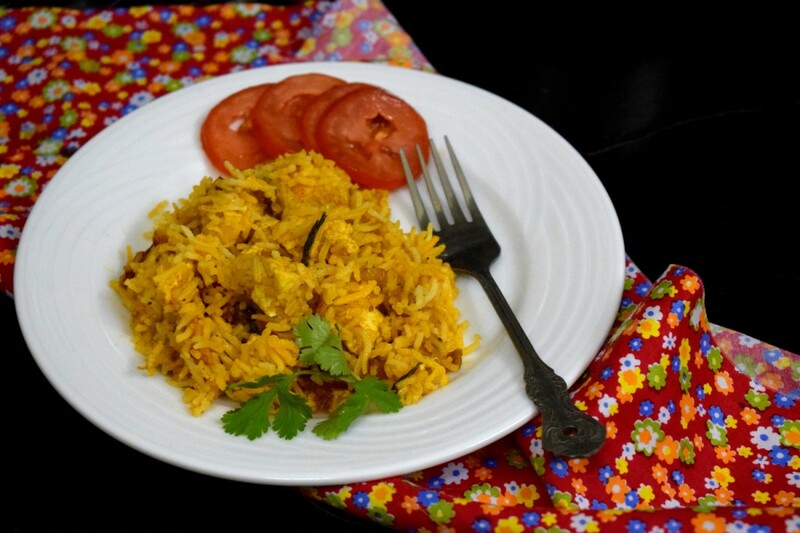 It was Saturday and it was traditional South Indian meals for the elders and knowing that kids won't eat that, I wanted to make a quick biryani for the kids. Since they love paneer in any form, thought I could make one quickly. Wash and soak the basmati rice for 20 mins. In thrice the amount of water, boil rice and when it's almost done, drain the water from rice and let it sit for 5 mins with lid covered. Then spread the rice for it to cool and also for the grains to separate. Deep fry onions till brown and add it to the paneer marinade. Mix the paneer with the marinade and let it sit for 10 mins.